In Mexico the Dia de los Muertos is a chance to honour loved ones who have moved on from this earth with the sort of fiesta you want to stay at forever. 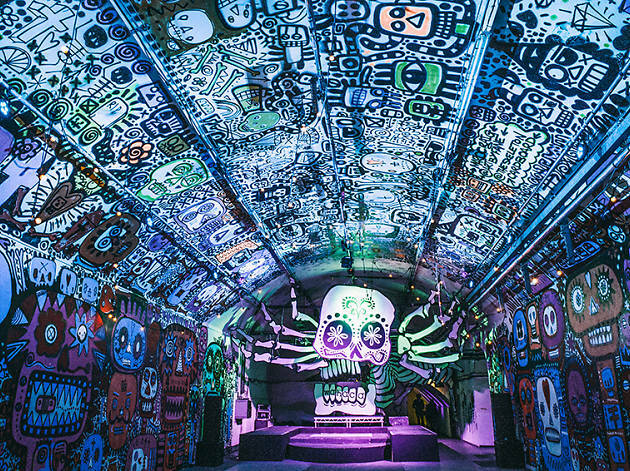 Thomasina Miers's Mexican food brand Wahaca are putting on one hell of a party this Day of the Dead, with a line-up of Mexican music from Movimientos and DJs playing into the early hours, plus treet food jostling with craft, rituals, performances and cocktails. 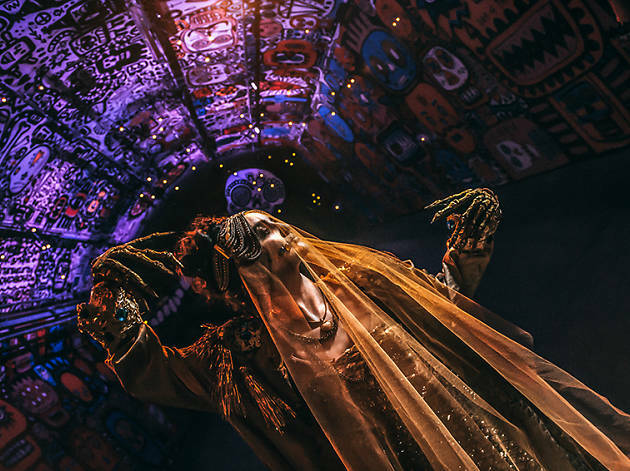 On Saturday early risers can join Morning Gloryville's 7am rave, and from Oct 30 - Nov 5, Wahaca restaurants have also put on a special Day of the Dead feasting menu. Check out the website for more details. I enjoyed A LOT their latest festival at Tobacco Docks in 2015, including both Mexican and British bands. And food, obvs! Can't wait! Had an amazing night last year! Cant wait for this years, a fab night filled with food, music and mexican culture! 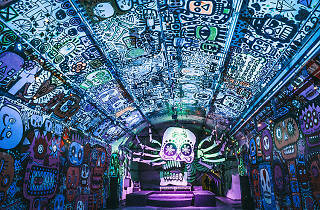 Tequila, tacos and raving in a grave... sounds awesome, have just bought my ticket! Nice one Wahaca!! 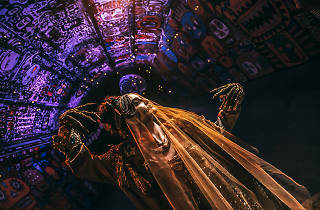 Wahaca's Day of the Dead Festival is simply the best DOTD event in the UK. Hands down. Amazing line up and fantastic food! Unmissable event. Last year was one of the most popular events in town, supporting live music in London and busking shows were unique!! 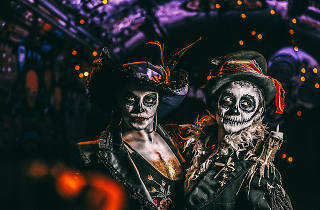 I went to Wahaca's Day of the Dead festival last year when it was at the Tobacco Docks and it was so much fun! The talks were all brilliant and the traditional Mexican entertainment was great - it's nice to be able to experience Mexican culture in this way in the UK. Definitely looking forward to this year's fiesta, the vaults are a great venue! Had an awesome time at last year's event, yes it was a bit big and there weer queues, but I got there early and enjoyed the Mexican culture presented, there was an amazing vibe with lots of installations and cool stuff everywhere. I went to the supper club too and it was incredible to see one of the world's greatest chefs Enrique Olvera. I can't wait to attend their much smaller event this year at Waterloo's the Vaults. Bob P has said it all really. 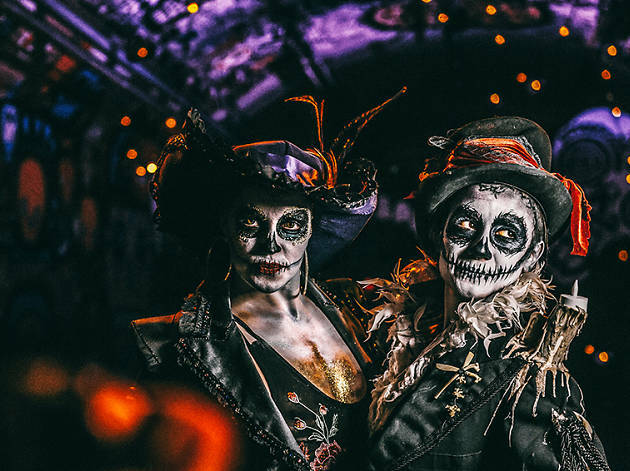 The highlight of last year was leaving the venue with full DOTD face paint around London. Which we had to queue for a lifetime for. It was the worst organised event I've ever been to. They sure took care of the vloggers though. Over an hour to get quite poor Street food. Not great. I have never been to Mexico so I cannot truly compare the real experience of last night visit to Wahacas Day of the Dead at Tobacco Dock to the real deal ... That’s said if Wahaca were offering a true facsimile of the DotD festival then Mexican revellers must delight in long queues , inadequate food and drink and being charged for acts they don’t get to see. The closest I got to a bona fide DotD experience was watching people lose the will to live as they queued for hours at the bars and food stations. To say this event was run by amateurs would a disservice to well meaning amateurs. Wahaca knew what they were doing... that’s why there were crowd barriers to form the queue lines. Yes queuing was always part of the plan.... maybe the skeletal frames of people who had been queuing for food so long was intended to add ambience? And there were other aspects aside from the queues that made you feel like you were indeed in purgatory. The event was scheduled for 12 hours.... and as we’re entered we were issued a wristband .... Unfortunately unlike every other festival I have ever been to the wristband was meaningless since there was no reentry. ... so why the pointless wristband Wahaca if you couldn't go out and come back in? And if there is a queue for souls to get into Hades at least they can be assured of eventually gaining entry..... not in Wahacas vision of the afterlife there wasn't ..... many people couldn’t get to see the Crystal Fighters... one of the big sells on the advertising.... they queued. .. of course.... for a lifetime....with no hope of seeing the band they bought the ticket to see. The one thing that Wahaca appear to have got right was their PR machine.... the official twitter and FB channels are full of posed professional shots of shiny happy people having a wacky great time. Professional bloggers and press allowed priority entry and freebies... I urge you to scratch the surface.... there are plenty of us who didnt have loads of fun baby .... Of course North Korea always has shiny happy people in their publicity shots too. The truth was that many were in the disgruntled and very unhappy crowd who felt that £31 to stand in zombie queues all night and then not see anything they wanted was akin to hell on earth. Overall the Wahaca DotD festival was shockingly organised .. more akin to Phoenix Nights family fun day than a professional event. A football crowd would have chanted ‘ you don’t know what you’re doing’ from the terraces. Sadly I think the truth is Wahaca did know.... and simply didn’t care ....relying on the inherent British acceptance to queue and the power of their PR machine. Anyone who has posted negative comnents subsequently been asked to Email Wahaca direct... transparently designed to quell social media unrest and no doubt offer free Chimichangas to keep schtumm .... Wahaca should be ashamed of themselves, be honest and apologise for the debacle. I wonder if in all her travels Thomasina Miers learned the Spanish word for ripoff ? I don't think it's Wahaca but it should be.